When it comes to prompt, reliable, quality installation or repairs Image Roofing has raised the standard which not only exceeds the commercial service industry standard, but has earned us the reputation as being one of the industry leaders. Our experience consists of certified and trained Service Technicians with the expertise in locating and repairing hard to find leaks. We participate in on-going manufacturer and specialty training to keep up on the latest in roofing technologies. We offer our customers various service options, based upon owner and/or facility needs. Customers are provided timely repair status notification and alerts. Image Roofing is proud to have worked with the most reputable general contractors in the Valley on various projects that range in size and complexity. 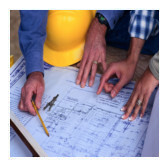 In understanding the pressures and demands placed upon contractors in meeting deadlines, we understand the importance of keeping on schedule and delivering only the finest quality workmanship. "Long after the sweetness of low price is gone, the bitterness of poor quality remains"